Cooooookies! I love cookies. Have you ever tried my oat cookies or the chia cookies? The chia cookies are vegan by the way. But if you want to it is easy to prepare the oat cookies in a vegan manner with just little substitutions. Just swop the butter for coconut oil and instead of eggs you can go for “chia eggs”. The cookies I’ll make today are easy to prepare and just really delicious. I found a similar recipe at The Simple Veganista. Mix the chia seeds with water and leave to thicken. Then mix all remaining ingredients – I feel like it works best if you knead it with your hands (yes, that is sticky!). Then take some tablespoon sized portions (also works with your dough sticky fingers) and set them on a baking tin that is covered with baking paper. Flatten them with a fork or with your hands. I also used a cookie stamp, but the pattern did not really come to show. Bake at 180 °C for about 15 to 20 minutes. Leave them to cool down and to become crispy. Almonds are such an on and off thing with most HIT sufferers and not everybody can do with them. If you are not sure don’t turn into a cookie monster right from the start 😉 But try maybe just small amounts at first. Use cinnamon – if at all – only in small amounts. From experience I can tell cardamom works better. This post is part of my vegan special. If you have ideas or wishes for another special please let me know. You can contact me via e-mail at histaminarm(at)vollbio.de or just leave a comment below. And now, I’m also on Pinterest. Maybe you’ve already heard of the “China Study”? T. Colin Campbell and Thomas M. Campbell have published this study. Father and son are no Chinese though, but Americans. Yet, the study was conducted in rural China, therefore the title. In cooperation with the Institute of Nutrition and Food Hygiene at the Chinese Academy of Preventive Medicine the idea for a large study emerged in the early 1980s. Disease-induced deaths between 1973 and 1975 were measured in randomly chosen villages of 65 rural counties. The dietary habits of one family member in 50 families, half male, half female, were examined. The study was first published in English 2005 and concludes that a vegan diet can prevent many chronic illnesses, for instance diabetes, several cancer forms, obesity, several cardiovascular issues and other so-called “diseases of civilisation” – or at least, that small amounts of animal protein consumption can facilitate such illnesses. The study is controversial for mainly methodical reasons. The study explicitly states that cholesterol and refined carbohydrates (like sugar) should be avoided. Critics claim this not be news and moreover, that these findings have not much to do with eating vegan or not. The German publication was criticised for the addition to the title “The scientific explanation for a vegan diet”, to which the study could not live up to. That wholefood is healthy is not a secret anymore. The study does not only focus on “no meat”, but also takes other aspects into account, like processed foods, cholesterol, refined carbohydrates like regular sugar, white rice or white wheat flour (instead of whole grain), etc. Many scientists claim the study to be just a statement of believes. The former American president Bill Clinton seems to be in favour of the study though. In reaction to it he changed his eating habits, omitted milk (casein is mentioned as problematic in the study), and Clinton claims this has helped with heart issues he has had. 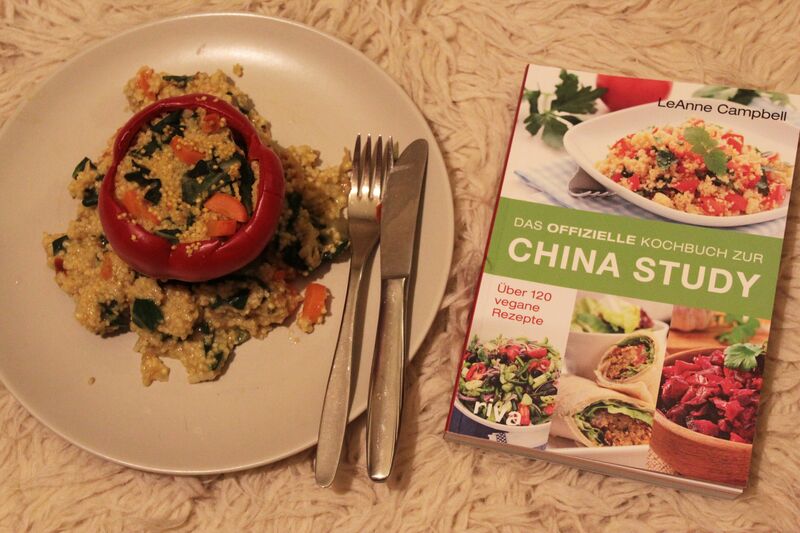 Recently I got to review the official cookbook to the China Study (in German). This book, too, is a product made by the family Campbell. This time the China Study author’s daughter authored the cookbook. The cover makes you feel hungry. Yet, when opening the actual book I was rather disappointed. The least of the pictures throughout the book are as deliciously looking like the ones put on the cover – and that’s me saying this. I’m no food designer either (yeah, that’s a profession) or a photographer, yet, the pictures, taken by the author’s son by the way, don’t make you feel hungry. The chosen image section is unfortunate (extreme close-ups), many pictures are too dark and so it’s hard to get an idea of the food described in the recipe. Then I actually opt for no pictures at all. To omit oils in general is quite a controversial thing to advise. When it comes to cholesterol refined sugar and wheat flour are more the “bad guys” than oil could be. The myth still going around that margarine supposedly lowers cholesterol levels seems to a myth as well. Fats and oils though are not all bad per se. Two things are important when talking about fat and oil. Firstly, trans fats which develop at high temperatures (e.g. when frying food). Secondly, the balance between omega-3- and omega-6 fatty acids has to be right. If not used for frying, e.g hemp seed oil, linseed oil, blackseed oil and others are healthy. Olive oil and coconut oil can be used for frying, yet the former is not as temperature-resistant as the latter. When you are following me already for quite a bit, then chances are, you know about Shaolin, one of our cats, who suffers from a kidney tumor that also affects the pancreas. After trial-and-error for quite some time, involving meds, time and again infusions (also with vitamin c) and even pain killers at times, Shaolin is now meds-free. Well, not completely, because Shaolin gets oil. Every day I mix about 2 ml of oil, hemp seed oil and salmon oil that is. This mix has proven to be perfect for her, so that nothing else is needed – except for good food of course. “Good food” for cats means no grains (also no rice) and no sugar and lots of meat. Yep, they are carnivores, we are not. My point is, oil is not bad per se and also, the healthy diet does not exist. It comes down to individual needs. It might be a good thing for one to eat meat, for the other it is like poison. Traditional Chinese Medicine and Ayurveda have understood this thousands of years ago. You have to look at a patient holistically, meaning, individually and looking at the whole of the person (Greek ὅλος = whole) and not just one or two symptoms. But that does not mean that there are no generally unhealthy foods out there, because there are, e.g. wheat or refined wheat, trans fats, refined sugar and more. Am I a bad person when eating meat? Or am I automatically a good person when omitting meat? If we would, like many native American peoples did, eat mainly a vegetarian diet and only hunt once in a while a bison which will not only feed the whole community, but will also clothe it and more, I would have far less problems with occasional meat consumption. 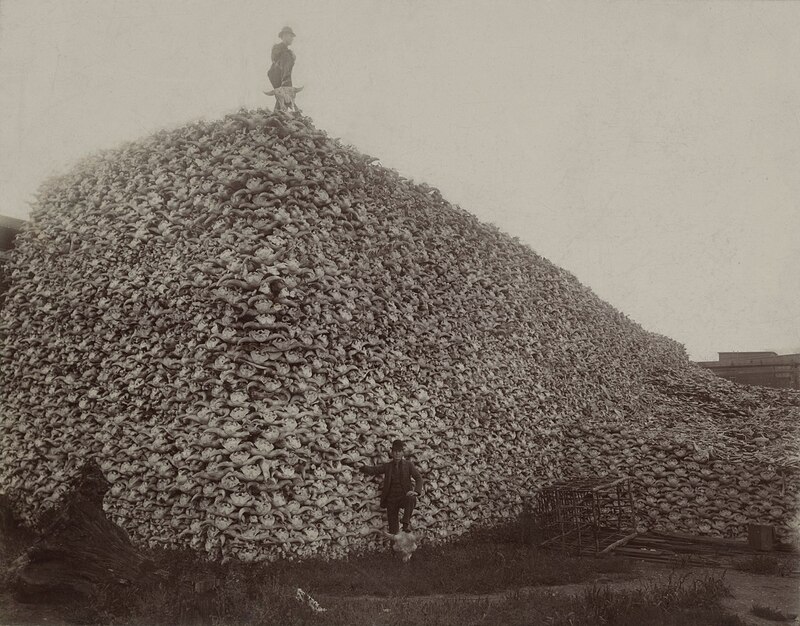 Yet, it was the white man who slaughtered after his arrival in the New World almost the whole of the buffalo respectively bison population – and not to eat it, no, for sport and to create space for fixed settlements. The invention of agriculture, meaning, since we are no longer living as nomads, as hunters and gatherers, actually makes it obsolete to farm animals, since there is so much other food around. But yes, I admit, I am somewhat of a hypocrite, a little vegan, yet, not even really vegetarian. But I know it. I’m conscious about the food I eat. I omitted meat and my fish consumption is about 1 to 2 fish meals per month. What I actually still want to work on is my dairy consumption. For quite some time I lived the illusion like many others maybe do that milk does not kill anyone and does no harm either. One thinks of green meadows, a farmer gets up early in the morning and walks up on the meadow to milk a cow that just had a calf. The farmer is sharing with the two and oh, it would be heaven of earth… Yet, the reality is grim. We don’t share (not even when it comes to organic milk) with the calf and cow, no the calf is taken and never gets to tastes his or her mom’s milk. And then it is not funny anymore. So I’m asking myself am I a bad human for still drinking milk or eating cheese? The industry being the way it is makes me as the consumer a companion in crime. Even if I have an idea about how it could or should be it is not like that. So, yes, somehow I am bad. I took the first step, away with the meat, I reduced my caught (!) fish consumption by quite a bit. I hope to be able to omit dairy altogether at some point. When it comes to people with histamine intolerance this change for the better is not easy. Many plant-based milk alternatives contain gluten or are made from nuts and not everyone can cope with that. A already damaged gut (leaky gut) might not be able to absorb vitamin b 12 the way it should be. When omitting meat and everything altogether one might actually want to do the right thing, but do more harm than good. First help yourself then help others – is the credo to bear in mind. Yet, the opposite is not true in general. Alright, I’m not perfect, but I’m conscious about my consumption (not only when it comes to animals). To be vegan can take strange forms. One might condemn others who are no(t yet) vegans. One might domineer over meat-eating animals and make them vegans by coercion. I have got quite a problem with vegans making their cats vegans. 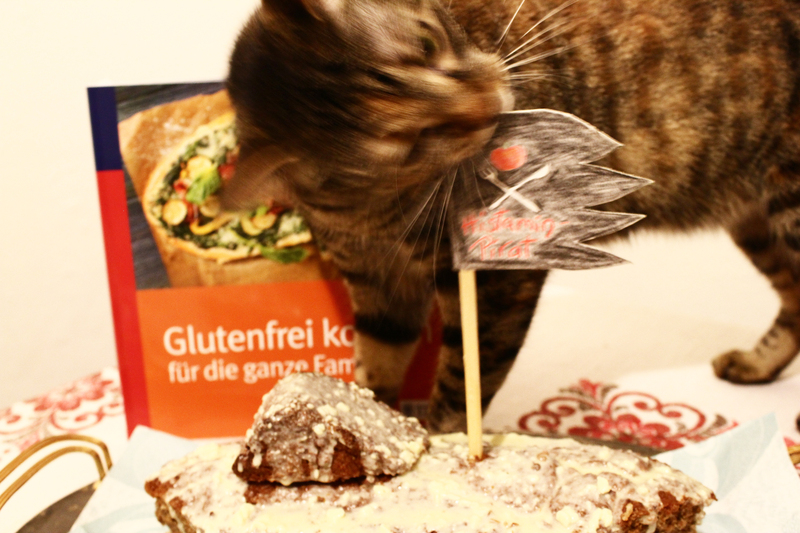 A cat has a hunting instinct for a reason, like it or not, and did it opt for vegan food? Am I not acting against the animal when I force a carnivore to do so and is that not the complete opposite of what veganism should be? Veganism should not be an excuse for the unnatural. For me being vegan and caring for the environment and a love for nature go hand in hand. To live and to let live. I don’t want to missionise anybody, nor my cat. Only who chooses this deliberately, consciously themselves will stay a vegan. I got a bit off subject. Back to the cookbook. The recipes often contain tomatoes, canned foods and yeast. For “just vegans” the book may offer delicious recipes, yet, when suffering from histamine intolerance one has to become creative. Rinse the millet before cooking. Cook the millet with triple the amount of water. Add carrots and broth powder to the millet. Leave to simmer for about 15 minutes. Then add garlic and mangold and leave to simmer for about another 5 minutes. If the water is gone too quickly, add some more if needed. Meanwhile clean the bell pepper, remove the “lid” with the core. 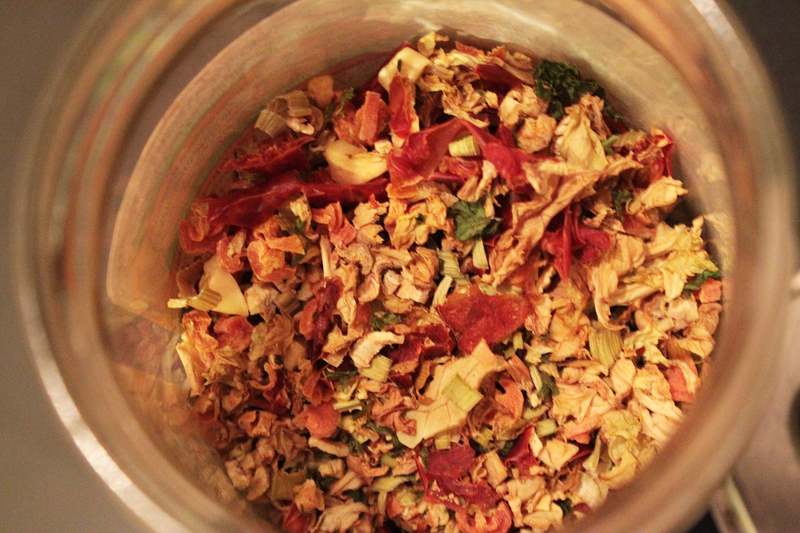 Finally add coconut oil, spices/herbs, hemp seeds and basil to the mix, stir. Fill the millet mix into the bell pepper. Preheat the oven to 180 °C. 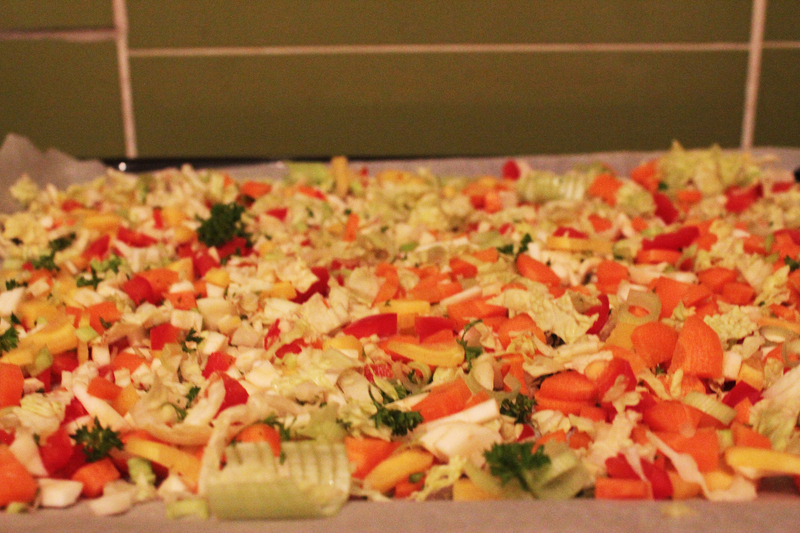 Set the bell pepper into a casserole form and bake for 15 to 20 minutes without cover. If you still have some millet mix left over, scatter it around in the casserole around the bell pepper. I hope you enjoy it as much as we do. Mangold is my new spinach substitute. 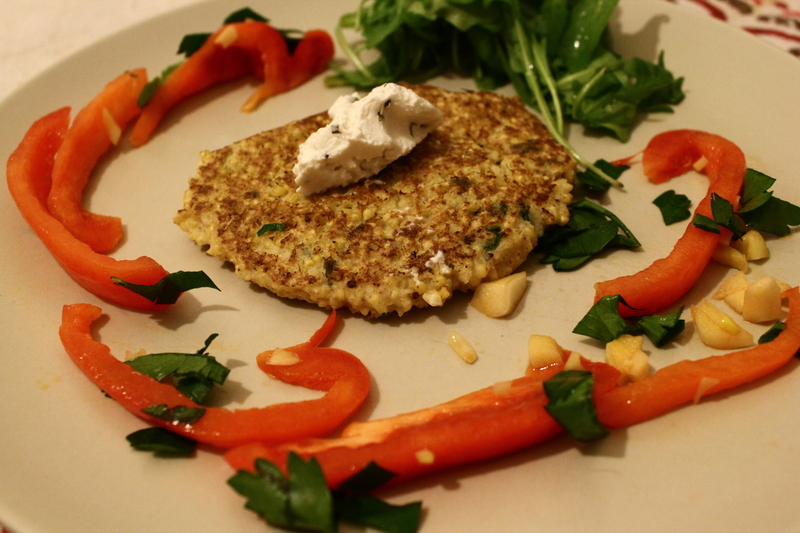 Throughout March I had a vegan special running on my German speaking blog. But first of, what is actually meant by the term “vegan”? Vegan – that is plant-based or animal friendly eating. 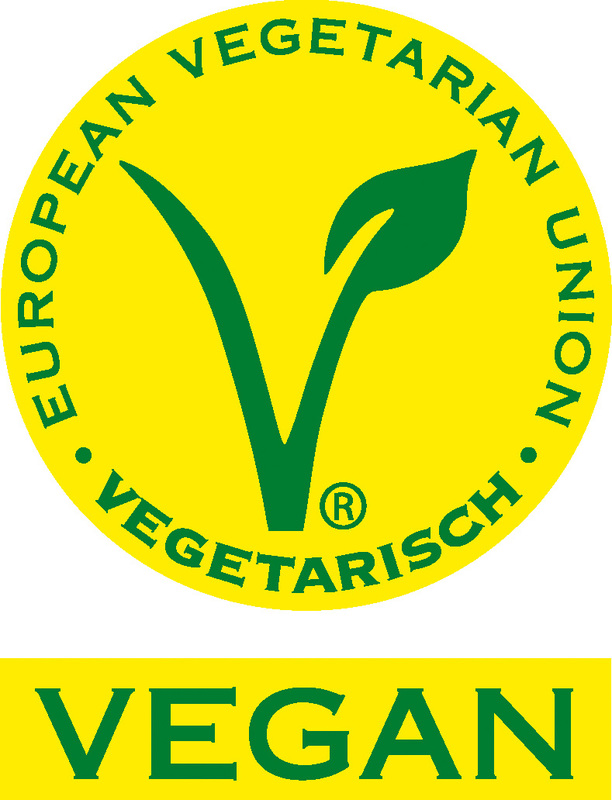 Nowadays there are even certain labels to mark vegan foods, e.g. the vegan flower label or the V-label. Apart from certain labels the term “vegan” is actually not protected by law. What exactly is meant by the term can vary quite a lot, there are even different “types” of veganism, if you want to call it that. Basically Vegans not only do not eat fish or meat, but also abstain from animal byproducts like dairy products, honey, etc. A special form of veganism is for example “raw veganism“. 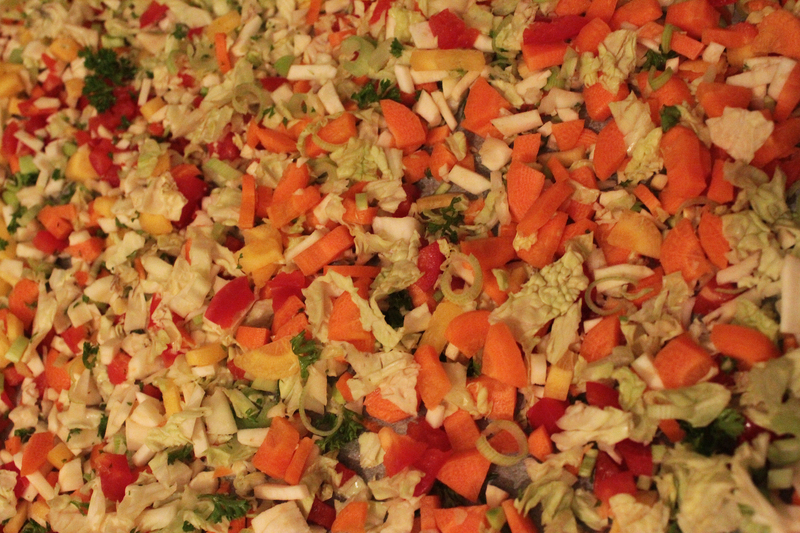 People following this diet eat only plant-based food that is raw and uncooked. Foods dried at low temperature also work for raw vegans. Organic veganism aims at eaten clean, non-GMO and only organic plant-based food. One quite extreme branch of veganism is called fruitarianism. The aim is not only to not harm animals in any way, but to also not hurt the plants. Mainly fruits are eaten and those should ideally have fallen of the plant themselves. They should not be harvested by plucking or picking as that would hurt the plant. Most vegans choose veganism not only as a diet, but as a lifestyle. Animals therefore should not be harmed for human food production, but just as much they should not be harmed in any way. Vegans choose animal friendly closing (e.g. no fur), cosmetics (e.g. no animal testing) and more. That animals have to die for pelt/fur or leather is actually known by many and there are practical alternatives like fake fur or imitation leather. Yet, even here we can find scandals. One rather recently was about bobble cups with supposedly fake fur bobbles, which turned out to be made from real fur. Brands like Tom Tailor were involved in this scandal. Falsely declared fur on labels is actually common, but should be harshly condemned. I’m following a German speaking blog on WordPress writing about knitting and more. It was this blog that actually made it known to me first that shearings can be quite a bloody business. Up until then I thought, like maybe many others, that sheep are shorn, but hey, that doesn’t hurt them, right? Well, in the interest of production profits and following the motif of “time is money” sheep are often harmed when shorn. There are brands and producers paying attention to the sheep. Best way to find out is to inform yourself before purchase. Who opposes the farming of animals in any way will see no alternative in this though. Yet, plant-based fabrics are an option then, e.g. made from linen, hemp fibre, etc. Those are completely cruelty free. Not just since the publication of the controversial China Study by T. Colin Campbell more and more people are reporting physical or emotional improvement when eating vegan. Yet, the China Study is not only about eating vegan. The German title “Die wissenschaftliche Begründung für eine vegane Ernährungsweise” (The scientific explanation for a vegan diet) is rather misleading, because what the study found is a link between other aspects of eating (not just meat/fish, dairy…) and the prevalence of some diseases. Therefore one should abstain from added sugar, added oils and more, the authors argue. And this has in itself not much to do with eating vegan. When we took their [the animals’] lives, what condition were they in? Rage. Animals undoubtedly were in an aggravated state of mind. Even organic meat is “produced” – meaning killed – in giant butcheries. No animals is petted to death. The stress hormones released by the animal when dying or awaiting death in line, watching his or her friends die, will go into the meat that we will eat. That’s what means. Rüdiger Dahlke describes this in his many books he has written (e.g. Peace Food) on vegan eating as well. Therefore I do not wonder, that some who suffer from depression report improvement of their mental and emotional state when changing for a vegan diet. But also some cardiovascular diseases can be prevented or the condition of the patient can be improved by eating a vegan diet. Whether a plant-based diet will help you individually you’ll have to try. I am not here to persuade or coerce you into eating vegan. It is just when going vegan and suffering from histamine intolerance there are some things to take into account. Won’t I suffer deficiencies respectively malnutrition? As already mentioned, there are several types of veganism. You’ll have to choose what suits you and what tastes good according to you. It is obvious that the so-called “soy pudding vegans” are not living healthier than any “omni-eater”. What I mean to soy pudding vegans are those who just substitute meat, schnitzel and sausages with soy schnitzel and alike. These people actually eat just like they have eaten before going vegan. Nowadays there are so many vegan processed foods available – it has become an industry and quite a lucrative one – that is everything but healthy, when one pays attention to labels. 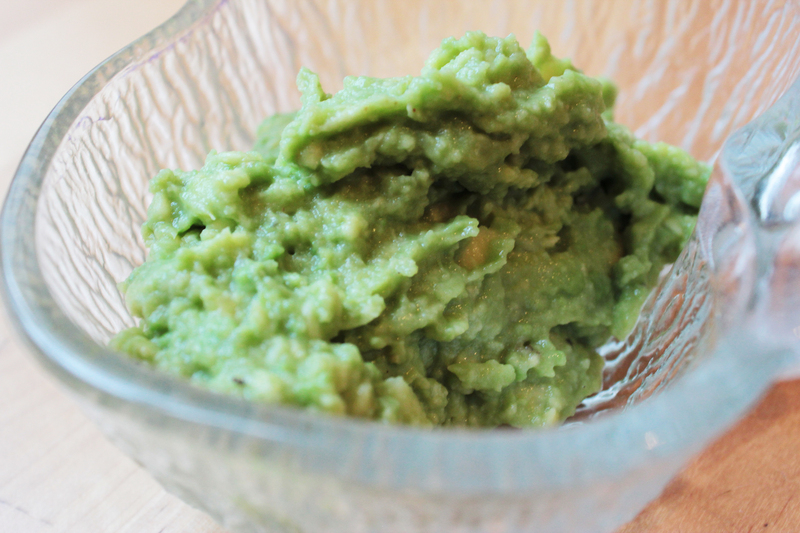 Spreads, cheese substitutes and more contain everything from citric acid (not lemon juice!) to humectants and preservatives like e.g. sorbitol and more. Even agave syrup praised as healthy sugar alternative is just a myth – it’s a fructose bomb. It looks similar when it comes to other sugar alternatives like xylitol which is produced in a complicated and overindustrialised way. For dogs it is toxic in only small amounts by the way. It can cause bloating in humans. Xylitol also has a laxative effect. Mostly it is used for oral hygiene, supposedly preventing tooth decay. Many plant-based milk alternatives have sugar (or agave syrup) added, also binders and thickeners are no exception and the name giving main ingredient – almond, oat, rice or whatever (besides water) – is actually only included in a 3 to 7 percentage rate. If only eating fried vegetables, one also does not live healthy. Of course, eating this once in a while is totally normal; it’s the mix that counts. Pages like The Unhealthy Vegan are fun, and offer delish recipes, but you’ll have to get the balance right and mix it up. Generally there are some myths around when it comes to malnutrition when eating vegan. Yet, when eating a well-balanced and organic diet – except for vitamin B 12 – one will live healthier than most “regular eaters”. When omitting dairy you’ll suffer a deficiency in calcium, right? Actually dairy contributes to overacidification of the body. Too much phosphorus in milk will disrupt the calcium balance. Rumor has it that milk is not such a calcium boost as the dairy industry likes us to believe. Calcium can be found in many foods, e.g. in green veggies like broccoli, (spinach), mangold, many herbs, almonds, etc. Also the level of vitamin D is quite important to be able to absorb calcium. Generally this is another myth. Legumes, nuts and some veggies and also grains contain protein. “Normal” vegans don’t suffer from a protein problem. Yet, when suffering from histamine intolerance, nuts and legumes can (!) cause problems. You’ll have to try in small amounts to find out what and how much of that works for you. Seeds like pumpkin seeds, hemp seeds, sesame seeds and macadamia nuts can be good alternatives for you. This is not really a myth, because it is true plant-based iron is harder to absorb by the human body. Yet, vitamin c can increase the absorption. Significant amounts of iron can be found in e.g. 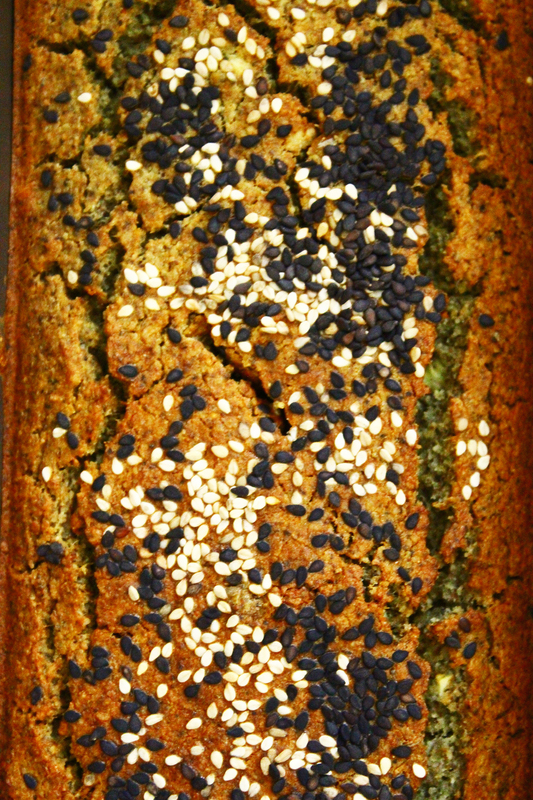 in millet, pumpkin seeds or sesame seeds, lentils, peach and spinach. And also in parsley, fennel, cress and carrots. Vitamin c e.g. can be found in parsley, broccoli, bell pepper and salad. You do best to combine iron-rich and vitamin-c-rich foods in a meal to get the right amount. When omitting animal products completely from your diet chances are to suffer a deficiency in vitamin b 12. This can only be found in animal products. Yet, we humans are “animal products”, too, of course and we are able to produce vitamin b 12, provided that our gut flora is intact. This is often not the case and so supplementing vitamin b 12 is advised by many. Thankfully “supplementing” in this case does not have to mean “pill taking”. Microorganisms which can be found on uncleaned fruits and veggies can provide vitamin b 12. Organis is key here – and actually, from your own garden would be best in that case. Nori or chlorella algae are also a great source for vitamin b 12. Aagain, look for organic produce. Vegan sushi (nori) can be an option on a regular basis. To go vegan when suffering from histamine intolerance requires some knowledge about nutrition to prevent deficiencies. The reduction of meat consumption, especially pork, I can generally advise though. If you are already living vegan be sure to inform yourself and get your vitamin and mineral levels checked regularly. For everything interested in a plant-based diet I’ll write some more in the upcoming posts about veganism for a month or so.If you follow through with it is completely up to you of course. 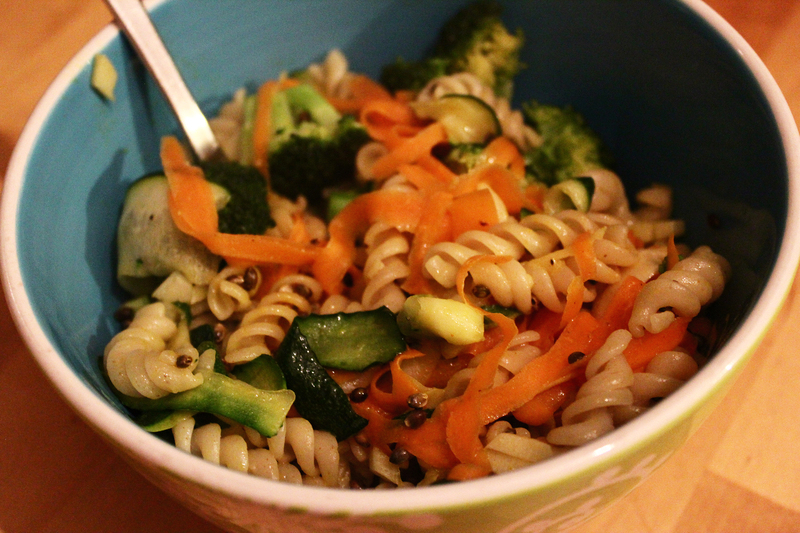 Maybe a comprise like on the blog Just about vegan or like we do here is another option for you. I’ll write what exactly we are regularly eating here in another post. Bring the millet with water to the boil, leave to simmer until it’s done respectively until the water is gone. Put aside, leave to thicken. 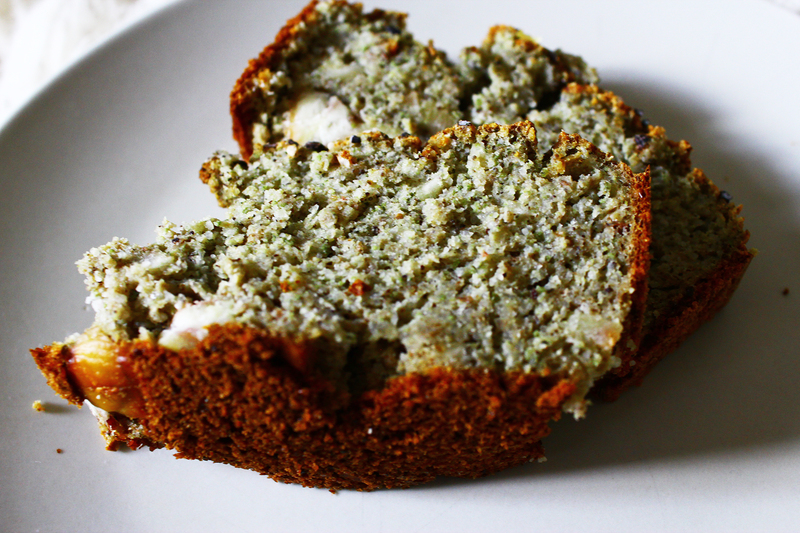 If you go for the vegan version, prepare the chia egg replacement now and leave it to thicken. Meanwhile peel bell pepper and garlic. Slice the bell pepper, chop the garlic. Clean the rocket salad and parsley. Pick the parsley leaves off the stalks. Prepare a dough from millet, semolina, egg or egg replacement from chia, parsley, salt and pepper. The dough will be a little sticky, yet rather firm. If it’s too liquid add more semolina, if it’s too dry add some water. Heat up oil in a pan, spread some dough into the pan, flatten it and fry from both sides until done – just turn it once. Do the same with the rest of the dough. To keep the pancakies (mine had a diameter of about 8-10 cm) you can put them on a plate in the oven at about 80 degree celcius. Fry the bell pepper and garlic just shortly in oil, so that the bell pepper still has some bite to it. Then serve freshly with salad, parsley and dip to the pancakies. Today I’ll start a little vegan special that has already been running for almost a month on my German speaking blog. 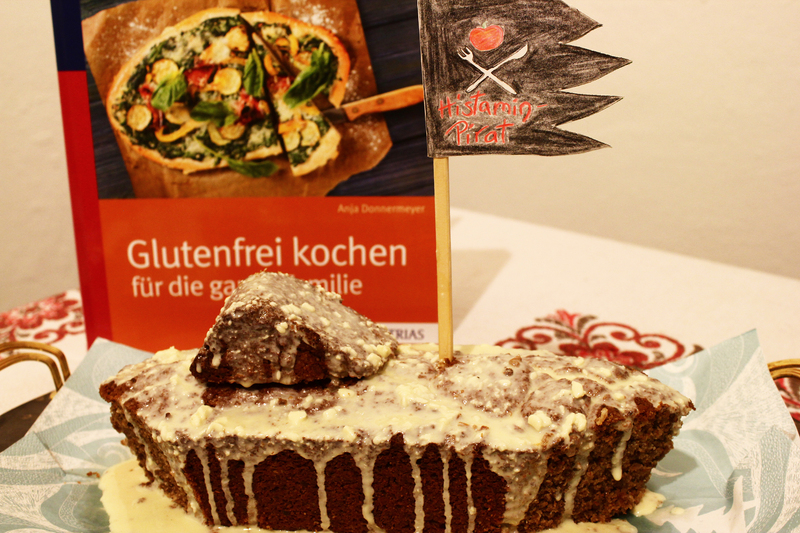 Today’s post is about baking in particular which I find the easiest to veganise. The tips are taking the needs when suffering from histamine intolerance into account. Yet, the recipe I’ll be giving you further down might not be suitable for everyone, because the cake contains lemons. And lemons are such an on and off thing with HIT. They are considered to be triggers respectively liberators of histamine, they contain acid, yet, also a lot vitamin c. Most people suffering from HIT can – if even – only tolerate small amounts of lemons. So if you’ll go for this recipe is an individual choice. I recently got a cookbook on lemons as a gift. So, that’s where my fancy for lemons right now is coming from. Through the book I got to know that cucumbers can actually neutralise a little too much of lemons. To counter-balance too much lemons with sugar is according to the author a bad idea. In the book I also found a recipe for lemon tray bake – and that made me reminisce my childhood. My grandma used to bake lemon tray bake for basically any birthday party or on other family occasions. That cake was mandatory one could say. I loved it, yet, somehow I never made one myself. Time to change that. 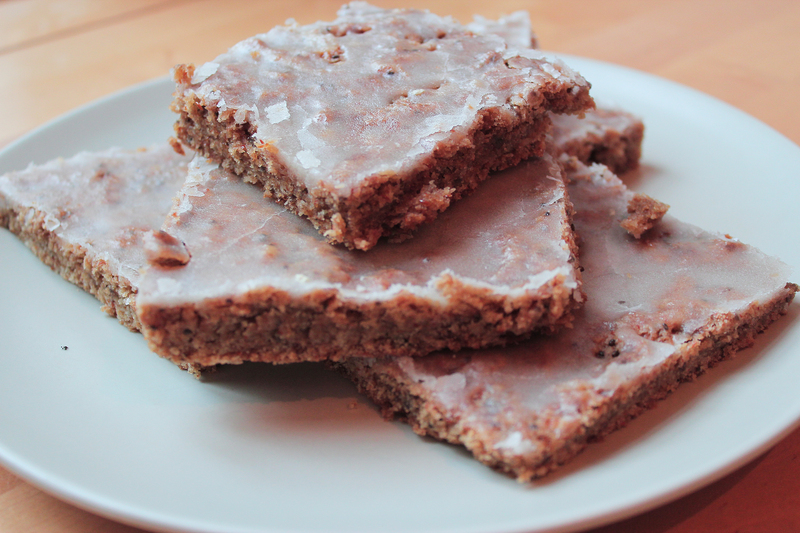 With my little vegan special in mind, I thought it might be a great thing to veganise grandma’s lemon tray bake. And there it is. Remember, not everyone can tolerate lemons as mentioned above. Prepare the egg replacement from chia seeds and water and leave it to thicken for about 10 minutes. Whisk the oil and stir in sugar. Add grated lemon zest, vanilla sugar, salt, (cardamom), lemon juice and finally the egg replacement and whisk until creamy. Mix the flour with baking powder and add this plus “milk” alternatingly to the mix. Stir until the dough is creamy. Preheat the oven to 200°C. Preapre a baking tin with baking paper and spread the dough evenly onto the tin. Bake in the middle of the oven for about 20 to 25 minutes until golden. Remove from the oven. For the icing, sift the powdered cane sugar and stir in lemon juice and hot water until the mass is creamy. It should be spreadable, yet, not totally liquid. Spread the icing on the still warm cake and leave it to dry. Cut into squares or other shapes (e.g. with a pizza wheel) to serve. The cake tastes even better after one day of resting. The original recipe contains more sugar (200g instead of 150g). I like to reduce here usually. Apart from that 4 eggs are used in the original recipe. To replace one egg a level tablespoon of chia seeds & 3 tablespoons of water do the job. You mix those two and leave it to thicken. The result will be a gelly, somewhat pudding-thing, that will replace eggs in baking, because chia-mix is a great thickener, just like eggs. Some may already be familiar with this from my gluten free baking recipes. To replace butter (also in the original recipe) in baking I usually go for 1:1 coconut oil. The same goes for milk. Vegan, low histamine alternatives for milk are for example coconut-, oat-, rice- or almond milk. Plant-based milk alternatives can easily be made at home. For coconut milk and rice milk there are already recipes on my blog. When buying plant-based milk be sure to get those without sweetener or sugar added, and without thickeners like guar gum. Because chia mix is not quite as fluffy as eggs I replaced 100g of the originally 500g of flour with browntop millet flour. Browntop millet flour is lighter than spelt flour making the dough fluffier. With these tips it is possible to veganise many baking recipes which do without whipped cream or whipped egg whites. I’ll have to post something for those as well. For now have fun veganising tray bakes, cookies, marble cake and more. I wonder why I never made this before? The pirate needs a ship. There you go. I categorized this recipe as not low histamine, because there is cocoa in it. There is a debate about whether or not, chocolate respectively cocoa are a problem when it comes to histamine. Chocolate itself is actually not high histamine, but it contains other biogenic amines. I have a separate post about chocolate here. Some people even report that chocolate actually helps them (as a mast cell stabiliser). Try it in small amounts first and see if and/or what amount of chocolate is right for you. Prepare the egg replacement from chia seeds and water and set aside. Mix butter/oil with sugar, vanilla sugar, cardamom, egg and egg replacement. Add flours and corn starch and mix. Stir in baking powder. Spread oil/butter in a loaf pan (and scatter desiccated coconut on that – you’ll be able to remove the cake from the pan easier that way). Pour in the dough. Bake for about 55 to 60 minutes in the preheated oven at 180°C. Leave to cool down and remove from pan. Cut two pieces each from the back and the front of the cake in that way that you’ll have ship’s bow and stern. Part of those cut-off pieces can serve as “navigating bridge”. Place on top of the cake for that. 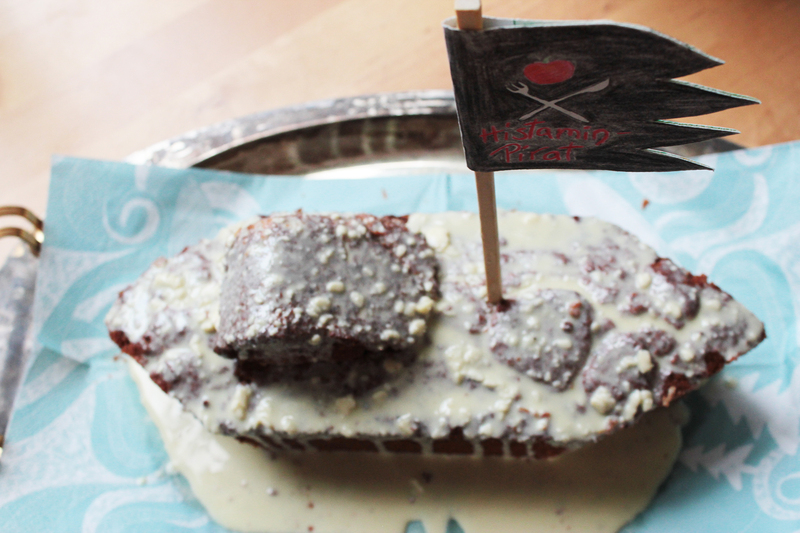 Build a pirate flag (I used a chop stick as mast) and stick into the ship. Cover the ship with white chocolate. I changed the original recipe a bit. Not only did I replace some of the eggs (seems to be better tolerated that way), but I also used my own flour mix – and not a bought, pre-prepared one. It’s actually possible to veganise this cake. Replace the remaining egg with a level tbsp. of chia seeds and 3 tbsp. of water in addition to the rest of the chia mix. This cake is sweet and moist. To make it stay that way it’s really a good idea to cover it with chocolate (the moisture will stay inside then).